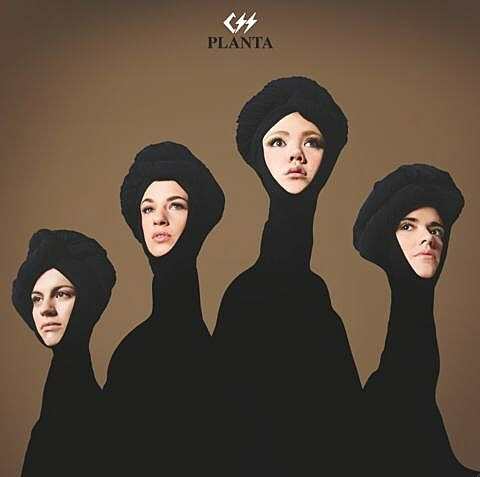 CSS‘ fourth album is titled Planta and will be out June 11 via SQE Music. That’s the cover art above. The Brazilian band, currently a quartet following the departure of Adriano Cintra, made the record in Los Angeles with Dave Sitek. The album’s first single, “Hangover,” is a definite departure than the band’s previous new wave-y sound and you can stream it below. Further connections between Sitek and CSS happen this weekend (5/10) as the group play ATP in Camber Sands, UK which is curated by TV on the Radio. No formal announcement on a North American tour has been made but one seems to be forthcoming as CCS will play NYC on July 8 at Bowery Ballroom and July 9 at Brooklyn Bowl. Both shows are with IO Echo. Tickets to Bowery Ballroom and Brooklyn Bowl go on sale Friday (5/10) at noon with an AmEx presale for Bowery starting Wednesday (5/8) at noon. UPDATE (5/13): There’s a full tour now. All current tour dates are listed below.